In an increasingly automated world, what if AI tools are harmful to poor people? They just might be. Virginia Eubanks, associate professor of political science at the University of Albany, SUNY, will address this question in her lecture “What IF AI tools Punish the Poor?” She argues that government data and its abuses have worsened inequality and created a digital poorhouse by imposing a new regime of surveillance, profiling, punishment, containment and exclusion in our society. The lecture, which is free and open to the public, is 4:30 p.m. Feb. 13 in Stewart Center’s Fowler Hall. It will be followed by a Q&A session. For 20 years, Eubanks has worked in community technology and economic justice movements. She was a founding member of Our Data Bodies Project and was a fellow at New America. 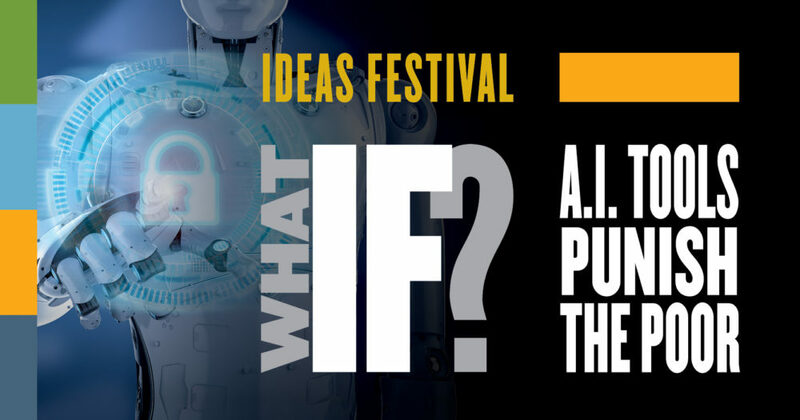 The event is a part of Purdue’s Ideas Festival, the centerpiece of Purdue’s Giant Leaps Sesquicentennial Campaign, which is a series of events that connect world-renowned speakers and Purdue expertise in a conversation on the most critical problems facing the world. One of the Ideas Festival’s themes is artificial intelligence, algorithms and automation. Eubanks is the author of “Automating Inequality: How High-Tech Tools Profile, Police and Punish the Poor” and “Digital Dead End: Fighting for Social Justice in the Information Age.” She also co-edited with Alethia Jones “Ain’t Nobody Turn Me Around: Forty Years of Movement Building with Barbara Smith.” Her writing about technology and social justice has appeared in Scientific American, The Nation, Harper’s and Wired. This Spring Critical Data Studies Distinguished Lecture is sponsored by the Honors College. Eubanks’ visit also is co-sponsored by the AI Committee/Ideas Festival, American Studies Program, Black Cultural Center, Brian Lamb School of Communication, Center for Science of Information – NSF Science & Technology Center, Civic Engagement and Leadership Development, Critical Data Studies, The Data Mine, Department of History, Department of Political Science, Department of Sociology, Diversity Resource Office, Honors College, Purdue University Libraries – Seminar Committee, Purdue Graduate Student Government, and Purdue University Fort Wayne.